by Alex Korb Author · Daniel J. Siegel Author of introduction, etc. 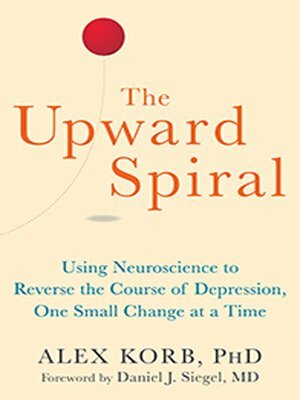 Whether you suffer from depression or just want a better understanding of the brain, this book offers an engaging and informative look at the neuroscience behind our emotions, thoughts, and actions. The truth is that there isn't one big solution to depression, but there are numerous simple steps you can take to alter brain activity and chemistry. Some are as easy as relaxing certain muscles to reduce anxiety, or getting more sunlight to improve your mood. Small steps in the right direction can have profound effects—giving you the power to become your best self as you literally reshape your brain, one small change at a time.